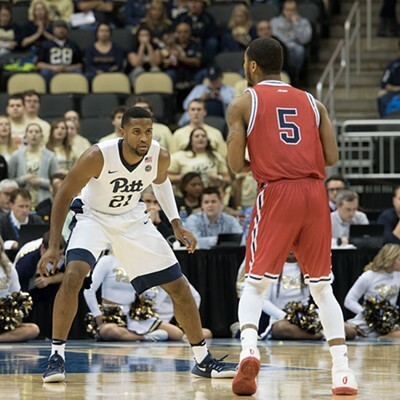 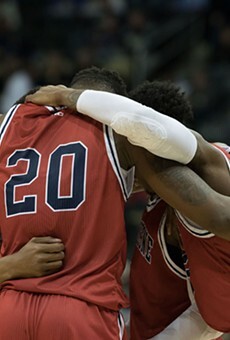 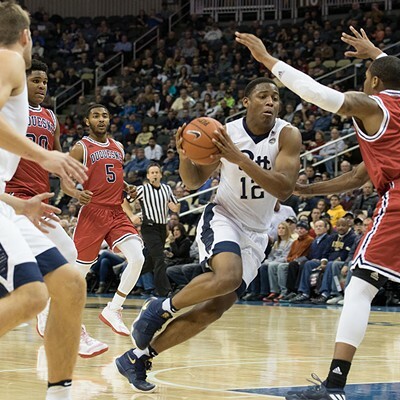 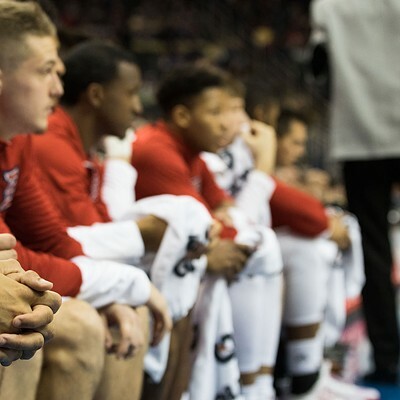 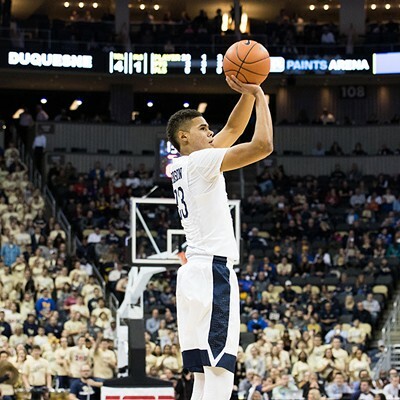 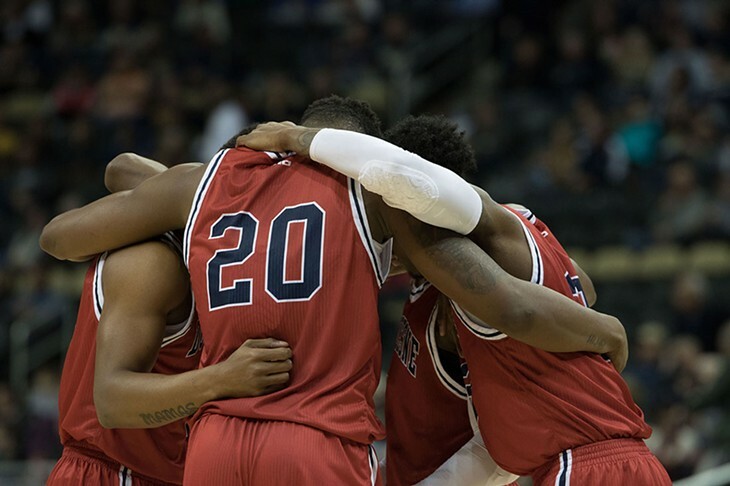 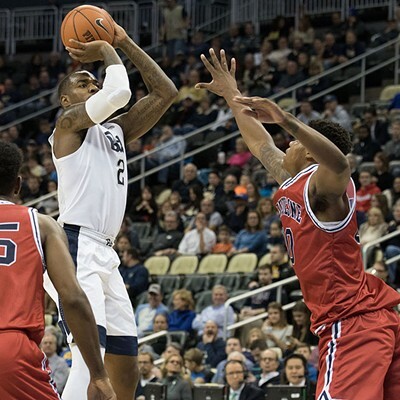 As our own Mike Wysocki told you in our current issue, the City Game, the multi-decade basketball rivalry between Pitt and Duquesne, hasn't really gone the Dukes' way in recent years. 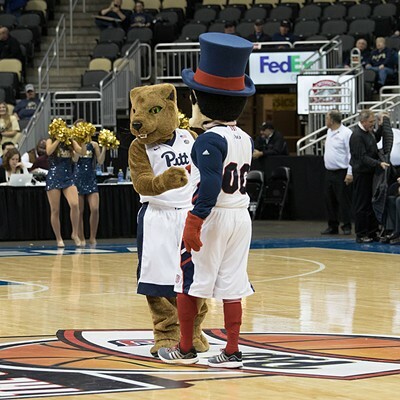 But that all changed Friday night when the Panthers fell 64-55. 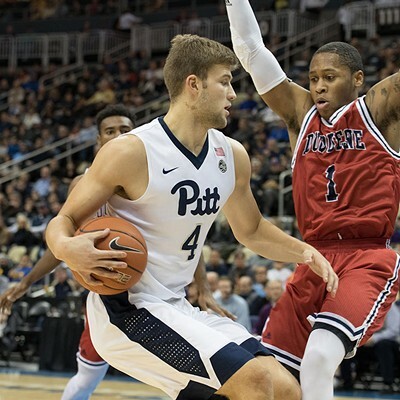 Pitt had won the past 15 outings and many thought the then 6-1 Panthers were all set for another victory over the Dukes, who were 3-5 entering the game. 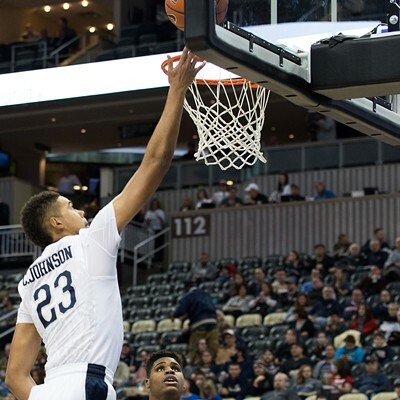 Security tried to prevent the Duquense student section from rushing the court at PPG Arena, but they made it through to celebrate with their team.